The mission of University City District’s West Philadelphia Skills Initiative (WPSI) is to connect West Philadelphia employers seeking talent to West Philadelphians seeking opportunity. View current openings. 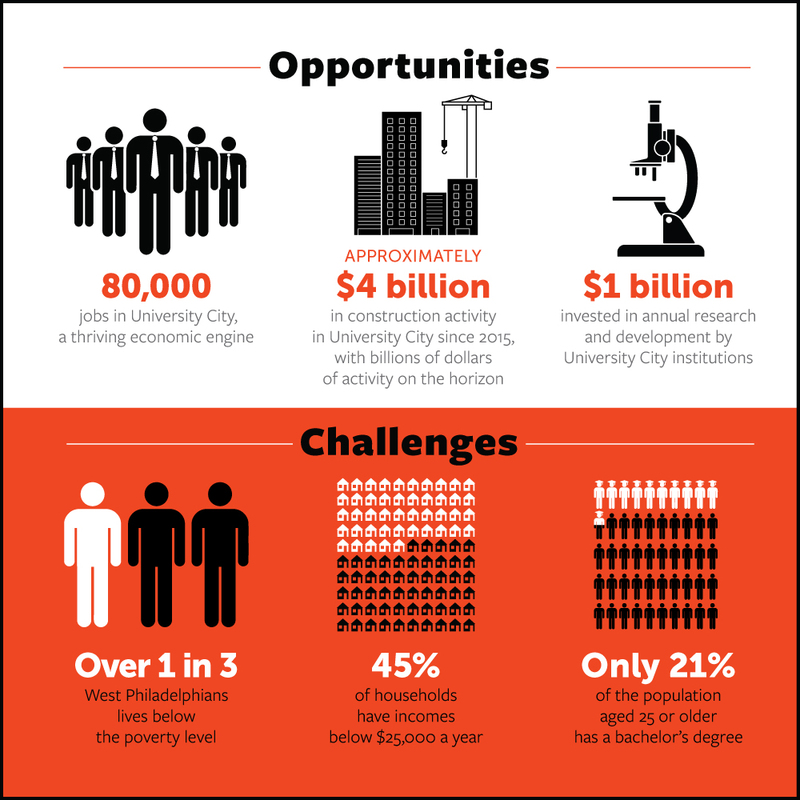 In 2011, UCD established the West Philadelphia Skills Initiative to provide an innovative solution to a complex economic challenge: too many unfilled or high turnover jobs at some of Philadelphia’s largest employers, and too many unemployed West Philadelphians. University City has become the city and region’s economic powerhouse, with more growth on the horizon. This 2.4 square mile neighborhood is home to the city’s largest and most innovative academic, research and commercial partners, who collectively employ nearly 80,000 individuals. Yet even as UCD’s institutional and private partners pursue transformative developments that will create more businesses and jobs in the years to come, the community continues to grapple with poverty. Thirty-one percent of West Philadelphia’s population lives below the poverty level, with an unemployment rate that is significantly higher than the citywide rate. A gulf exists, preventing communities and residents from accessing local opportunities. The West Philadelphia Skills Initiative was created to bridge that gulf. For nearly twenty years, UCD has worked hand in hand with institutional partners to revitalize University City, and WPSI leverages those relationships in order to help local residents access opportunity and thrive in the workplace.